Pepe Anton-- outdoor writer, boat captain, and conservationist--is a leading proponent of catch-and-release fishing in Ecuador. After meeting former IGFA President Mike Leech at the Rolex/IGFA Offshore World Championship in Kona, Hawaii years ago, Anton was inspired to organize Ecuador's first all-release tournament. 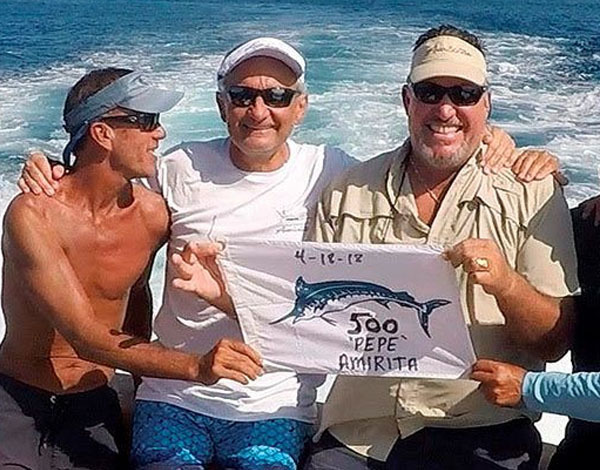 Anton and friends created the Foundation Brotherhood of the Coast-- a non-profit that promotes sport fishing in the Galapagos Islands. He is a major sponsor of Ecuador's national fishing tournaments for junior anglers.